Just because we are Pescatarians now doesn’t mean we miss out completely. 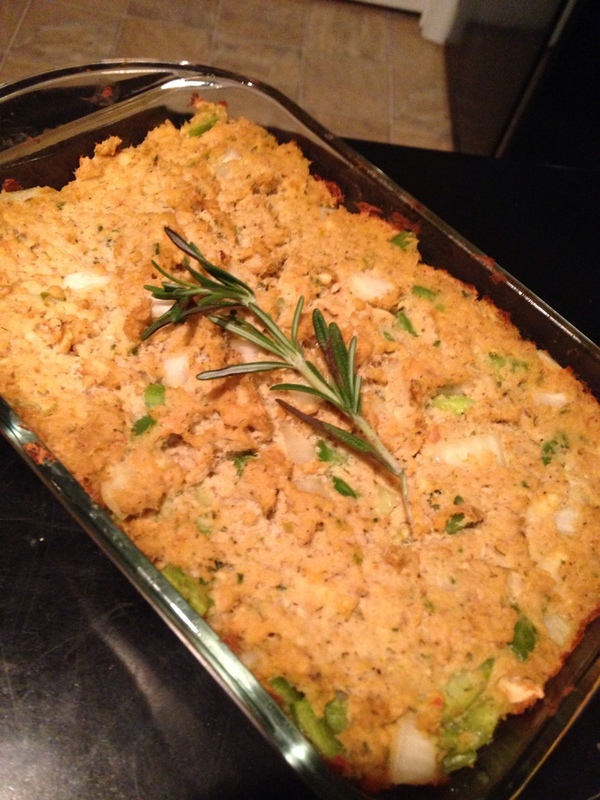 Here is a quick & easy recipe that gives you the alternative to meat loaf, Salmon Loaf. It was delicious. 1. Mix salmon, egg, crackers, onions, peppers, and all spices in bowl. Blend with hands. 2. Add milk and melted butter. Mix all ingredients together. 3. Preheat oven to 350. Spread mixture in baking dish and bake for 40 minutes or until golden brown at the top. Garnish with rosemary.